2. Use the filters to find the student(s) you would like to start Progress Monitoring. 3. 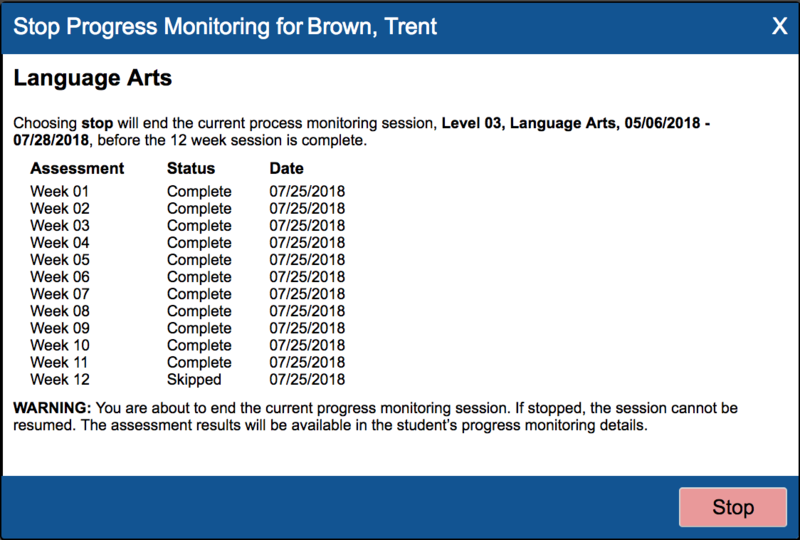 Click the 'Stop' button for the subject you want the student to stop Progress Monitoring (Mathematics or Language Arts). 4. You can see the status of the current CBM including their status for each assessment during the 12 week duration. By clicking 'Stop' you'll end the CBM Probes for the student.